Dozens of vendors specializing in sports cards and memorabilia will take part in the event. 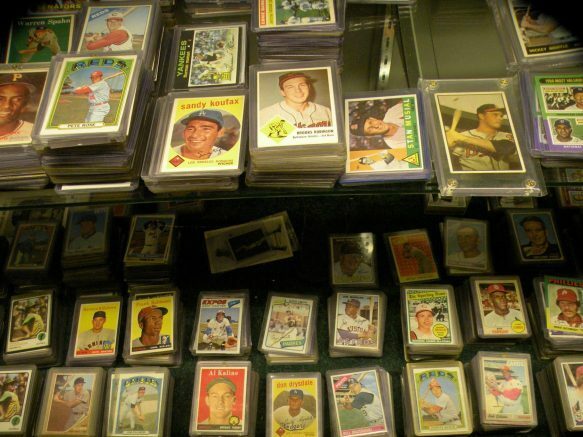 The Leonard Post at 2450 Walden Ave. in Cheektowaga will host a sports card show from 3 to 7 p.m. Wednesday, April 10. The event is free and open to the public. Dozens of vendors specializing in sports cards and memorabilia will take part in the event, and vendor tables are still available. For more information, please contact Jeff at Bases Loaded Sports Collectibles in Cheektowaga at 656-0066 or jeff@basesny.com. At the April 10 show, all attendees will receive a free gift at the door, while supplies last, courtesy of Bases Loaded Sports Collectibles! The monthly show is now under the shared management of Bases Loaded Sports Collectibles and Bruce Brummitt Sportscards. Be the first to comment on "Leonard Post to host monthly sports card show"